Super Duper Excited about Healthy Snacks! There’s a new vending machine at work named “Healthy Vend”. It’s been there for almost a month now. 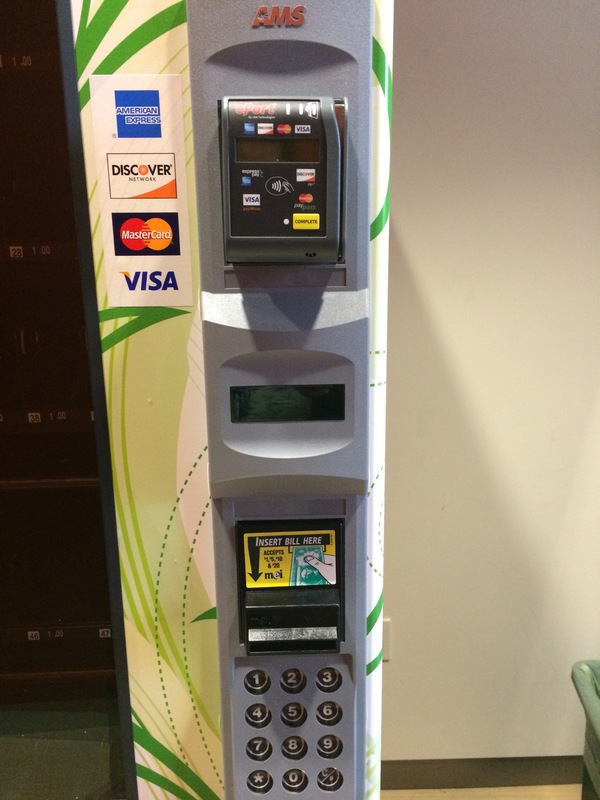 It accepts a wide variety of payment options: cash, coins, several credit cards and Apple Pay. Everything in it is $1.00, so it’s a super convenient and inexpensive way to grab something when I forgot my lunch or need a quick snack to tide me over before dinner. The best part is that the snacks are not only healthy, but they are also invisible! Or maybe they just want to give health nuts the joy of buying something out of a vending machine, while not tempting them with the almonds, beef jerky, pretzels, or gluten free cookies that so often get dubbed “healthy” but really aren’t. I like the idea, but I would also like to take this time to put a little disclaimer, if you ever use your debit card in one of these machines. It puts a hold (usually $5 or $10) on your card, EVERY TIME you use your card. So if you say have the munchies three times in one day- that $30 on hold, plus the $3 worth of stuff you bought. And the holds usually take a few days to come off. It’s not usually a big deal, but I’ve had to explain this to college students. When every penny counts- missing $30 is a big deal. But- having said that- snack healthy! It’s empty! No food in the vending machine. Hasn’t been since the get go. 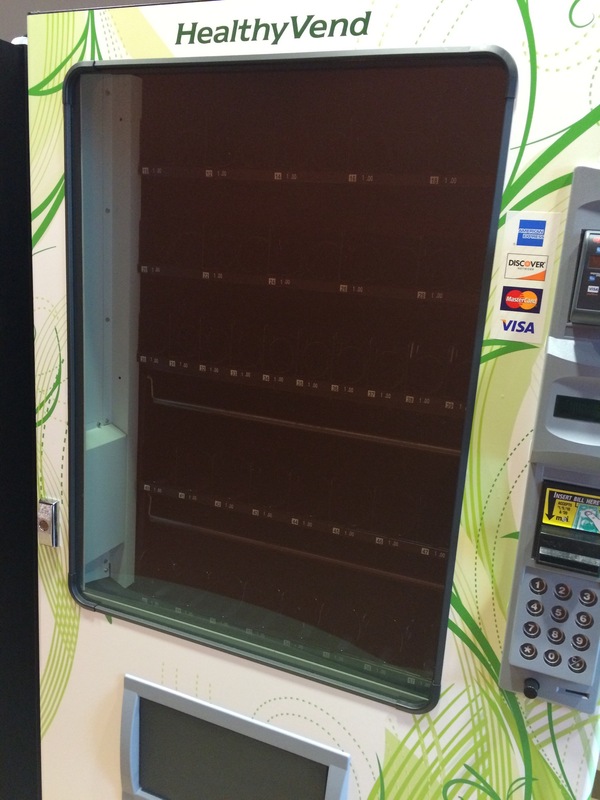 There is a giant empty vending machine at work. Sigh. I obviously need to hone my picture taking or sarcasm writing skills. Back to the drawing board with this one. …it’s probably not you lol I’m not doing well and probably shouldn’t be reading blog posts. lol okay okay maybe it’s you. Actually, I’m not. My dad passed Monday. There will be a few blog posts about it but I’m just gathering the blogging strength. Oh Kathy. My heart breaks for you. A big hug from me to you across the blogosphere.